Nicely said, well thought out and conveyed. If pu’er maocha (i.e. loose raw pu’er) is essentially green tea, then what’s the difference between that and Yunnanese green tea and why do they taste so different? “Post-fermentation” is called that because the fermentation occurs after the leaves are otherwise processed (made into maocha) already, as opposed to during withering, for example. Of course, if one is not to use “fermentation” for oxidized teas, the “post” bit is quite redundant. Selderij—I’ve actually never had a green tea from Yunnan, so I’m not sure what the difference is, but it could be any number of things. My first guess would be plucking standard since typical green teas are made with younger leaves than puer maocha. I’m still not totally following the logic behind the term “post-fermentation”. What you said would make some sense if the maocha was a “fermented” tea (really, oxidized or enzymatically browned), but it’s not—it’s a green tea that goes through a “kill green” step and no oxidation step. Rather like Selderij I tend to refer to such teas as “Post Fermented” in an attempt to describe that it is a process that takes place after the initial processing of leaves has been completed. To continue on the point of Yunnanese green tea and maocha, a very important difference in the processing is that pu’er doesn’t go through a full killgreen firing: it’s done at a lower temperature, at least to allow some oxidation, and *maybe* also to not kill the microbial colonies already residing in the leaves. Raw pu’er, even when young, really doesn’t taste that much like green tea, not even Yunnanese green tea. The latter does have its own characteristic compared to other green teas, but it’s hard to mistake it as pu’er. That’s why I think it’s an oversimplification to say that maocha or raw pu’er is essentially green tea. I don’t know what would happen if one was to wet-pile actual green tea, though. So WHY is it different than other green teas? Sure, it could be the kill green temperature, but I’m skeptical of that. If that was the major difference, then wouldn’t raw puer just taste more like wulong or white tea? I AM super curious about these Yunnan green teas though, I’ll have to seek some out. A very good post (as opposed to post-fermented.) Informative, thoughtful and logically argued. Congratulations. Excellent blog Eric. Here are a few comments to address some of the comments. Thanks for your work! Puer and the lore about it are by in large a 21st-century tea. When I first traveled to Yunnan in the late 1990s, the majority of the tea produced then was green tea, followed by jasmine and black teas. It was hard to find puer tea in Kunming in those days. It is true that at least since the Qing Dynasty, green tea was pressed into cakes to be exported via small horses to Tibet. It is hard to get good history beyond the Qing because before them Yunnan was not part of China. The Dali Kingdom which ruled Yunnan for more than a thousand years collapsed during the Ming Dynasty. Not a great deal of tea moved into Tibet from Yunnan; it’s a hard way to go compared to Sichuan where the majority of Tibet tea originated. That the is also green tea pressed into bricks as is most other he cha. It’s a good idea to read Jiang Jinghong’s book, ‘Puer: Ancient Roads to Modern Chic. A native of Yunnan’did her research for her doctorate in anthropology in the village of Yiwu were the hype began over puer. For the locals making the tea at the time, it was shocking for them to learn it was valuable. They thought of it as green tea that they would throw out after a couple of years. The ideas about there being some scientific truth that Yunnan had special microbes unique to that area that reacted with the tea as it aged had no scientific basis. There has been recent research that indicates otherwise. That the frying (killing the green) tries to maintain the microbes is just part of the hype. Sorry, I am talking about sheng puer here, not the cooked tea. Thanks for your comments, Austin! “Puer Tea: Ancient Caravans and Urban Chic” is indeed a great book. I think there’s definitely some hype behind our thinking of puer maocha as something very different and uncategorizable, but it’s also true that it tastes very different than your average green tea. That difference in taste might make it more suitable for aging, but you could certainly age any green tea. A few months back on the Gong Fu Cha Facebook group someone posted a very controversial picture of aged dragonwell which was dark brown in color. Who knows if it was real or not, but it’s not surprising that something green left in a humid environment for a decade would turn brown, regardless of how hot it was cooked. Two Japanese dark teas, Awa bancha and goishicha both involve lactic acid bacteria and thus would ironically be more of a fermented tea (in microbiology) than shu and sheng. Goishicha has a two step process, one with oxygen and one without. That means that it is definitely a post-fermented tea. Ricardo—Lactic acid bacteria fermented tea!? Oh man, I can’t wait to tell my friend who studies sauerkraut microbes about this! Have you written about the fermentation process for these teas before? Thanks for these articles! I’ve been endeavouring to use these terms when explaining things to new tea people, and it seems to make much more sense to them compared to using a word like ‘ferment’. One minor thing: In the opening paragraph you have written 发酵 as “fāxiào” but in part 1 it was written as “fājiào”. It looks like “fāxiào” might be Taiwanese pronunciation but I wasn’t sure if it was a typo, since that sentence was referencing part 1. 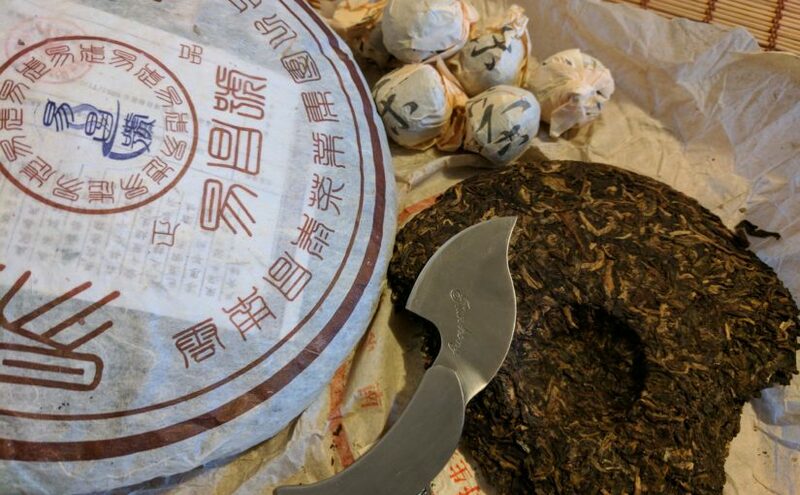 I have a lot of respect for your writing, but fermentation is the correct term for the first stage of puerh maturation. In the first stage, the plant material is converted into acids by fungi and some bacteria. These acids become food for the next group of fungi. Was it you or someone else who presented on gallic acid once? That is one of the first stage products. If you want to call the second stage “ripening” or ” maturation,” fine. Otherwise, we have yet another article that just adds confusion to a very simple process. Cywn, I have no doubt there is some microbial succession happening during wet piling, but the conditions that really emphasize fermentation—the incomplete breakdown of sugars into organic acids or ethanol—is only really promoted under a lack of oxygen. 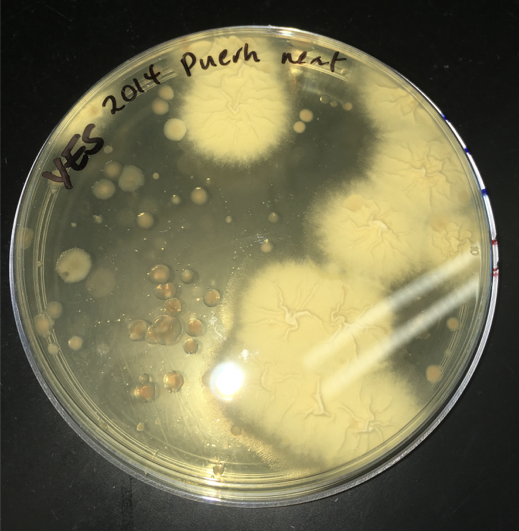 The microbes found in ripe puer are not your typical fermentors (e.g. lactic acid bacteria). No doubt there are some fermenters in there, but they’re not the most abundant microbes, at least at the end of the process. Also, I definitely call the whole thing “fermentation” unless I’m talking to microbiologists who might know and care about the difference! Hi Eric, I really enjoyed reading this. I had a discussion when my Taiwanese tea teacher called the whole thing fermentation, but now I can put this into the right context. Thanks for being so thorough and analytical. It helps that your article is well-written too. Thanks so much for the kind words, Sven. Please spread the word! It seems like it’s not widely known in China and Taiwan that “fermentation” in English *only* applies to microbial fermentation. Previous Previous post: The science and nomenclature of tea processing. Part 1: Enzymatic browning.